Since 1985, Vern Allen has been providing live entertainment, technical event services and experiential solutions. Our entertainment agency deliver thousands of live events every year, booking world class, live entertainment to corporate, cruise line, hotel and large holiday resorts both nationally and internationally. Our agents work closely with both client and artiste to ensure the ultimate combination of service and performance. Our event services team are highly skilled and experienced. They are passionate about providing only the very best audio visual, staging, sound and lighting solutions. Our aim is to turn your ideas into a technical reality and deliver highly impressive results every time. Our experiential event team create memorable, emotive events and experiences for global brands. 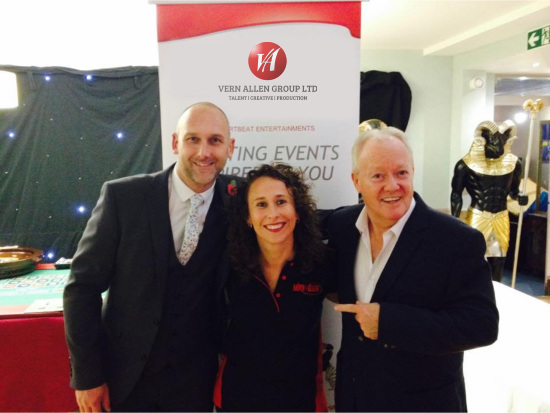 Vern Allen Group Ltd represents the interests of all of it’s performers and is committed to ensure that the equal opportunities of all of it’s acts from all backgrounds are promoted and recognised through diversity, equality and fairness. We welcome the full inclusion of all performers through the process of casting and auditions through to performance either in live or recorded media.